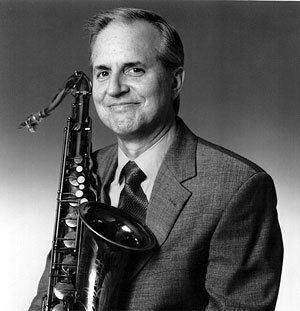 Tenor saxophonist Scott Hamilton released his first recording in 1977 when he was just 23, and surprised critics and fans alike, with the depth and maturity of his playing. Scott went on to become an international jazz star, at a time when this no longer seemed possible with most jazz instrumentalists. Scott and I met in the early part of both our careers, but hadn’t seen each other in ages, when we sat down for this conversation for my Judy Carmichael’s Jazz Inspired radio show, while we were both appearing at the 2009 Ascona Jazz Festival in Switzerland. We discussed the ever changing jazz scene, and Scott’s perspective as an American living in Europe. Scott Hamilton: I started coming over to Europe in the late seventies, not long after I arrived in New York. In 1976 and 1977, I think I left New York five times in those years to work with Benny Goodman in Little Rock, Arkansas or Grand Rapids, Michigan. I started traveling internationally in 1978, by going to Japan and then coming over to Europe for the festivals in the summer. And then all of us, everyone I knew really, began to travel to Europe on a regular basis after that. I would think the traffic started to get heavier in the early seventies when the French started to bring over a lot of American musicians to work. In those years it was even different than it is today in Europe. There were jazz clubs in every small town over here. Every town that had a post office had a jazz club. It was such that I can remember doing a tour with Chris [Flory] and Chuck [Riggs] and Phil [Flanigan] one year, and we didn’t leave Holland. We were in this very small country for six weeks and we played a different club every night. I didn’t realize that, because my career was taking off with more concerts in the States. I did the occasional festival, but I didn’t realize there were that many clubs. It really was different. It was a terrific scene, really. And one in which-when we were doing those gigs there were always maybe 9 or 10 American groups traveling around Europe at the same time. And we’d be following one another-all sorts of people. Dizzy Gillespie was doing it, and Art Blakey’s group. A lot of people that would never play clubs. By the eighties, they were already concert attractions, but the business was changing. But in the seventies they were doing those clubs too. It was still affordable and a lot of places in Europe had government money that was in the clubs and they were able to pay fairly well. Did you find that in those clubs the people listened differently? I always found it to be the difference between clubs and concerts rather than the difference between Europe and America. It was always said that European audiences were more attentive and respectful of jazz musicians. But you didn’t find that to be. I don’t know. I suppose a lot of it was the type of places we were playing. By the time I got to New York most of the club gigs I did were in jazz clubs where we were a known quantity by the time we got to New York. At the clubs I was working, the audience came because they knew me and they wanted to see me, which was so different from any experience I had had before that, where basically I was the most unpopular club attraction in New England. [laughs] The most unpopular. You’re reminding me of the first time I did a concert in New York. I had been doing all these concerts in California where no one listened, same kind of thing as your New England experience. So here I was on a concert stage in NY and one of my friends told me that all I did was keep saying: “Thank you, thank you”, because I was so stunned anyone was listening! I know exactly, that’s why I’m laughing. It really is a good way to come up, don’t you think? Because you still have to show people that hate you, a good time. Well, I worked at Disneyland for many years. So I can do anything. I’ve had little kids squirt ketchup at me, throw hot dogs. That’s maybe the hardest gig of all. I can do anything. And, in a stupid costume. So pretty much I can do anything now. It’s all up. Chris [Flory] and I have known each other longer than that. We each had our own groups back in Providence when we were starting off. But when I came to New York in 76, Chris came at the same time. We both moved there together from Providence. We worked together. The first gig that I got, Chris got hired the next night, with Hank Jones and Milt Hinton. We walked into the best job in the world and we got to stay for six weeks. It was wonderful. Michael’s Pub. They had booked in Hank Jones’s trio. He had Ronnie Cole on drums and Milt Hinton on bass. They were going to be the house trio while they moved in and out several horn players and singers. Billy Butterfield had been booked in there the week I started. And Billy was needing a little assistance. So I was young and cheap and unknown. But there had been a couple of articles in the New Yorker. 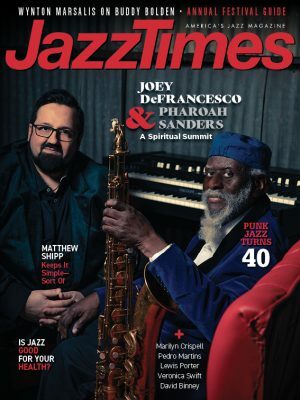 Whitney Balliett had written a thing and there’d been a couple of things in jazz journals. So they knew that they could put me in there and get a certain amount of business from curious people. So it worked out well. I played with Billy for a week and then Johnny Hartman came in-and Chris was on the job by then. We played with Johnny and after that, Carrie Smith came in for a week. We actually did a couple of weeks just the five of us-just sax and guitar. That was really educational. What a wonderful thing to have that run, though. Oh, it was great. It was fabulous. Every night from nine to one, we were playing with Hank Jones and Milt Hinton and learning all kinds of-really it was amazing, and meeting all kinds of people in the club. Then afterward, we’d go out to Eddie Condon’s and Jimmy Ryan’s and hang out with everybody in the music business. People that we’d been listening to all our lives. It was very exciting, very exciting. Now talk about Dave McKenna because I know you love Dave. We all love Dave. He’s such a unique player. Of all of the musicians I’ve had a chance to work with, Dave occupies a space maybe the most. He’s very, very important in my life-his playing and him too. I love him. I really do. My favorite thing about Dave is the way he came about. I’ve always heard stories from his family about how one day they all came home and he was playing the piano. They hadn’t even known that he could. That’s the kind of guy he is. And also the way that he learned, he learned in a different way than anyone else, I think. He learned to play the piano by listening to the radio and figuring it out himself. So it came about in a really different way than anyone else has ever done it. Other people have talked a lot about Dave’s technique. It is amazing and it’s very unique. But I never hear other people talk about Dave’s touch, or I don’t hear very many people talk about it. I don’t think I know of a pianist who is capable of playing the melody of a ballad with-I don’t know how to describe it. It’s just investing it with that much feeling and that much uniqueness of sound. I suppose Bill Evans is somebody who comes to mind as a guy who had that kind of intensity in his ballad playing. But to me, that’s always been, of all of the many things that Dave does, maybe the thing that affects me the most. 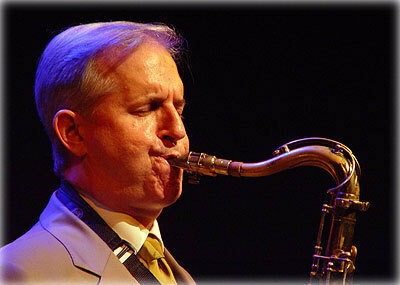 To listen to the entire conversation with Scott Hamilton, along with his music and the music that influenced him, or to hear interviews with other notable people inspired by jazz, go to Judy Carmichael’s Jazz Inspired web site.